A man cave is the perfect space for you to relax and is a retreat for you and your friends to unwind and enjoy the day. If you are getting ready to design and decorate your man cave, you may be wondering what you can do to make the space unique and flow together perfectly. Below, we will go over some professional man cave tips to help you quickly mull over some different options that can make this space awesome. A perfect man cave will impress your guests and make them say wow when they enter into the room. The wow factor can be anything from a big focal point to a large theater that caters to everyone. Take some time to think about what you want the wow factor to be and then make it happen. Never be afraid to let your imagination run wild. When you think of a man cave, you think of a large area that is filled with a bunch of manly things, right? Even if your man cave is not spacious, it should look like it is and you can do this through the placement of furniture and your accessories. If you do not know how to make the space look big, you can work with a professional interior designer to help you make the most of the space. If you have a large media center in your man cave, you want to make sure that you hide the wires. Who wants to see your gaming system wires, TV cords, and Ethernet wiring? No one. You can hide these wires by placing them under special molding to hide them, under the baseboards, or even place all of the media into a media center with a door that closes and opens. You do not want to stock your man cave with a bunch of items because this will just make the room look like a storage space. You should keep your furniture and décor items to a minimum. Do make sure that the items you choose pack a punch though otherwise, your man cave will simply look bare. The above man cave tips will help you decorate your space and maximize it to its fullest potential. If you need help when it comes to decorating your man cave, do not hesitate to contact the professionals at J. 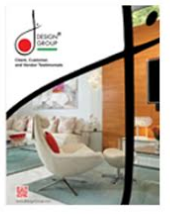 Design Group now.